Merge multipage PDF files into one with the user-friendly app! What Type Of Solution Can You Get To Merge PDF Files? With a tool like PDF Combine, the entire process of merging PDF files is faster and easier than ever before. You select as many PDF files as you want or whole folders and the app does the rest automatically. It's a much better thing that you may want to adhere to, and one that will bring you all the results you want. On top of that, once you merge PDF files into one, you will get a handy table of contents. It will show all the files within the output PDF as clickable links. You will get all the info you want in a single place and the process will be way easier for you in the end. 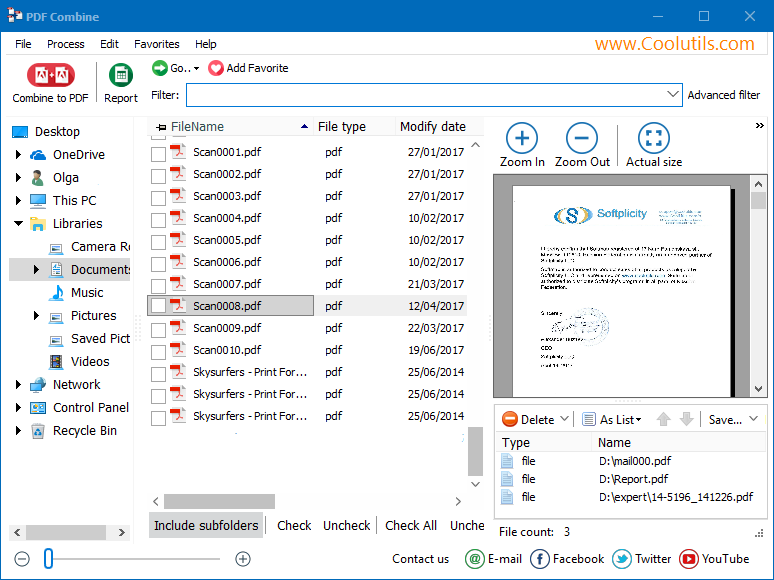 PDF Combine is designed to be very efficient and focused on giving you the ability to merge large PDF files as well as the smaller ones without that much of a problem. How about creating bookmarks for your files for an easier navigtaion within the merged document? Or adding page counters? Signing with your digital signature? This combiner can do that. It's important to note that PDF Combine can work with a multitude of documents, files and you can even combine specific pages. The possibilities are limitless and the value that you can get from using this application can be second to none in the end. It's mandatory to spend your time wisely as you try to adapt PDF Combine to suit your needs adequately. Thankfully, with this app you will be able to multiply several thousands of files at once. Or you can just add them in to a single file. In fact, with this you can easily merge multiple PDF files with no effort. PDF Combine can easily be customized to suit any of your needs. 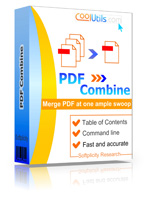 We know that you need to merge PDF files, so with this tool you can do it easily. 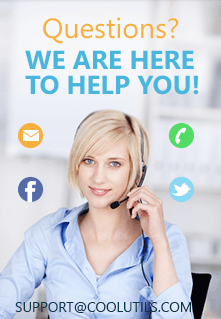 And if your business has specific needs, we will be able to modify all of this to fit the type of benefits that you may want. It's always crucial to adapt the tools you use to your needs, and with PDF Combine you will be able to get all of that in no time. Also, we make the license flexible, so your business will get to use it fast and easy even if you have 1 or 30 people that need to handle PDF Combine. We also offer dedicated server and developer licenses. Home users get the best price. So, you are bound to find one that suits your needs. All licenses are perpetual, you don't have to pay every year. If you always needed a great tool to merge PDF naturally and with great success, PDF Combine can be right up your alley. It definitely works to your own advantage, and the value that you get will be second to none. 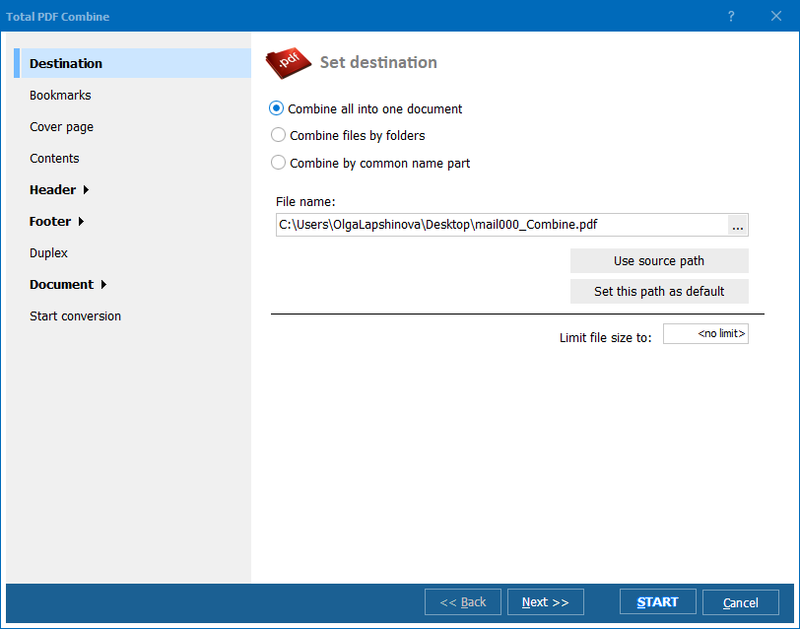 Why should you use PDF Combine? Because it really works to merge multiple pdf files, and you can always adapt it to your needs. If that's the type of feature you need, then check this tool out and you will like the outcome! PDF Combine is one of the best tools that you can use if you want to learn how to add page numbers to PDF fast and easy. Merge pdf files into one in no time; the app copes with extra large documents easily. It's easy to adapt to any situation, and you can easily add page numbers to PDF fast and easy. So, try to focus on that, and you will be more than impressed with the outcome!